One of the greatest rock/pop albums of all time, Purple Rain gets the high-res lossless treatment from HDtracks. 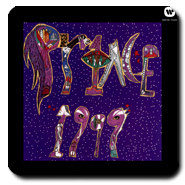 The Artist currently known as Prince receives his due in this well remastered high resolution download of one his major hit albums, 1999. Sexually explicit lyrics aside, this is funky dance music that will get inside your head.